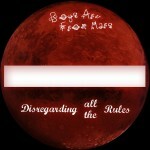 We, Boys Are From Mars, are currently seeking a keyboardist/pianist, bassist, and a lead guitarist. Formed from the inspiration of how powerful music is, Boys Are From Mars, an Indie Rock band from Cleveland, OH, strives to spread hope, love, and spark creativity in everyone. Influenced by major bands such as, Needtobreathe, Graffiti6, and Guns Nâ€™ Roses, this freshly formed band takes pride in its music being as original as possible. The members will disregard all the rules of music if it means making an album that is worth its weight in meaning. Our debut album, Disregarding all the Rules, will have 7 songs revolving around love, friendship, and finding the strength to push forward through all obstacles. The members of Boys Are From Mars understand that most people wish a song could last just a bit longer, so each song will blend together with the next, forming one long song that will be the album. That being a partial reason, the other part comes from the idea that in life, you need to just keep truckinâ€™ along. What will be interesting is that each song will blend together with the next, forming one long song. We also plan on having a lot of dynamics, because ears need a break too. Not to mention dynamics in a song are beautiful. Most of the songs will have an acoustic sound with an indie rock/pop style and last an average length of 4:00. That is of course until the Interlude begins, at which point the album will shift into a Rock nâ€™ Roll style. This will continue through to the last song.